Picture perfect weather today for my Zero Day here in Paihia. 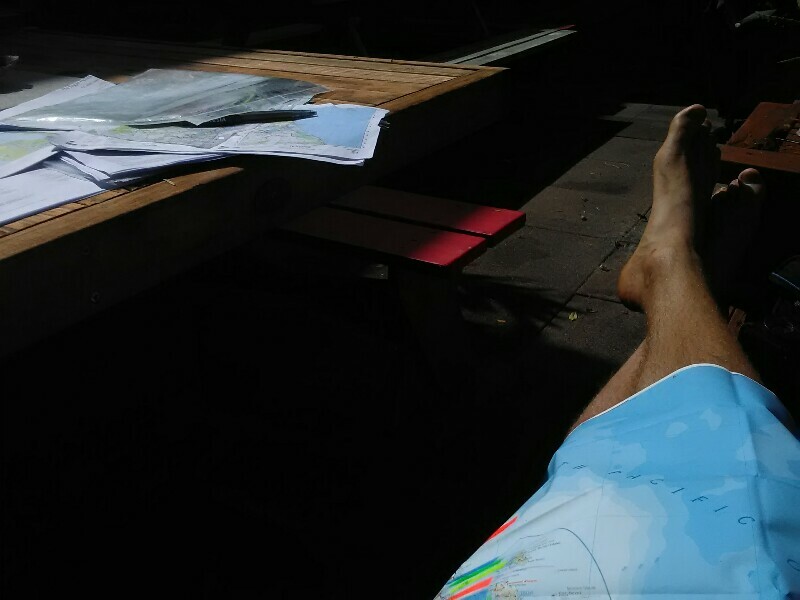 With laundry done, the day is mostly all about planning the next few days to Mangawhai Heads. Tomorrow will be an easy day of road walking to Waikare (road walking instead of the expensive water taxi). From there it will a tricky river section through Russell Forest on day 2 as there is going to be a front with moderate to heavy rain passing through the preceding night. If the river is fordable, I plan to pitch up my tent somewhere near Helena Bay for the second night. The next few days (if I make it to Helens Bay) are going to be straightforward: Whanakaki, Ngunguru and probably Pataua and another night somewhere close to Whangarei Heads before crossing Whangarei Harbour by boat. It all depends at the tides, as some estuaries/rivers are only fordable when the tide is out. Once planning is done, I'll head into town for some shopping food four days and shipping my Bounce Box ahead to Auckland. I'll probably throw my Trail Runners in there but take a second pair of Lunas with me, as I'm not sure if my used ones are good for another 350km to Auckland after the forests. When done with that, it's only packing my backpack to be fully ready tomorrow morning.